Part one of this book analyzes the sustainable development practices of retailers within and between different European countries and presents case studies that consider best practices on this topic. Retailer include: Carrefour, Casino, Auchan, Leclerc, Intermarché and System U in France; Inditex, Cortefiel and MANGO in Spain; Edeka, Rewe, Schwarz-Group (with Lidl and Kaufland) and Aldi in Germany; and Tesco and Marks & Spencer in UK. International retailers in Poland are considered to better understand cross country activities. 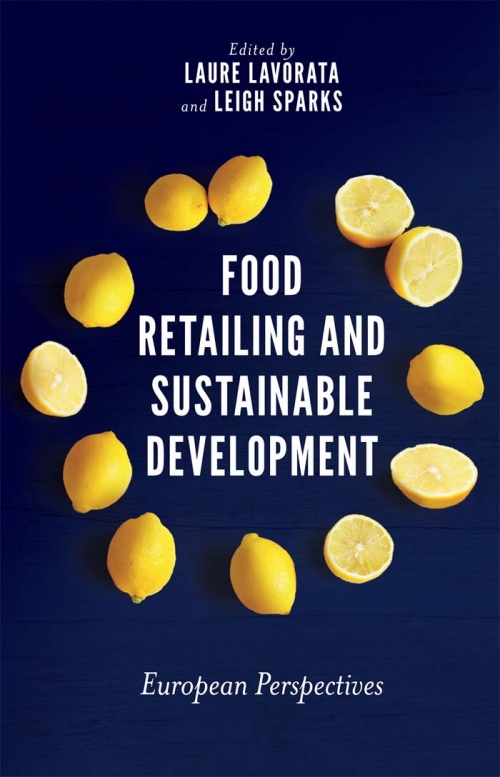 This book will appeal to academics, students and professional educators alike, providing a crucial understanding of retailers’ practices in different countries and their impact on consumers. Laure Lavorata is Professor at the University of Reims Champagne Ardenne. Her research focuses on the ethics of retailers, marketing ethics, and sustainable marketing. She has coordinated an ANR project on 'Food Retail, Consumption and Sustainable Development' whilst her latest publications are on the "Influence of retailers' commitment to sustainable development on store image, consumer loyalty and consumer boycotts: Proposal for a model using the theory of planned behaviour," published in the Journal of Retailing and Consumer Services and "French Retailers and Sustainability", published in French in 2017. She also coordinated a book published by Economica in November 2016 on marketing and sustainability.